Memorial Days in a Japanese Saijiki usually end with the word "KI" 忌 and denote the death anniversary of a person. In the text below I have left out the repetition of "Memorial day for" and only added the name of the person and KI. Some days are calculated according to the Asian Lunar Calendar. We also have memorial days for a birthday or other special day in the life of a person. Kaisan Ki 開山忌 , Memorial Day for the Founder of This Temple, is often used, when his name is not so famous after all but the temple became famous later. In this case, the personal name is sometimes not used. kaisandoo 開山堂 Founder's hall . 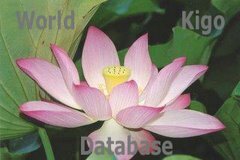 This is a saijiki of the most common memorial days, not only of Japan but of other famous people worldwide that have come to notice during the compilation of the World Kigo Database. It is arranged in alphabetical order of family names or the names they are best known, according to the seasons. Some famous persons can have entries in more than one season, when events in their lifetime are celebrated. Japanese can have more than one KI name to be remembered by. I will try and list them all. Use the LINK of a given name to find more information about this person. For entries under construction, an external FACTS LINK to the Wikipedia is used most often. Enjoy this walk through the lifes of famous people, from art, religion, politics, literature and other fields of human society. Please use your own browser to find a name. ***** . Darumapedia - PERSONS - main index . With the calendar reform in Japan, things changed, making the life of a haiku poet more difficult. The seasons for birthdays and memorial days changed.
. KOMACHI, Ono no Komachi 小野 小町 (おののこまち) . 1657 - June 2, 1716). Artist, painter and lacquer master. rinpa　琳派　Rinpa school of painting named after him. Famous scholar of Japanese Learnng. September 24. 1650-1722. Haiku Poet, friend of Basho. July 1. (1571 – 1622) Samurai from the Date domain. He led a diplomatic mission to New Spain (Mexico) and then Europe between 1613 and 1620. September 26. 1909-1947. Woman Haiku Poet. (1797 in Edo – October 12, 1858). "Andoo, Andō Hiroshige"
. HOKI-ICHI, Hanawa Hokiichi 塙 保己一 . September 17. (1905 ~ 1936). Haiku Poet. November 6. (1909-1975). 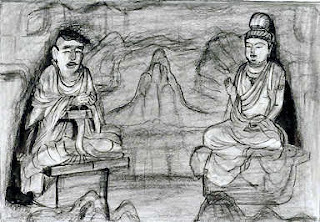 Autor and haiku poet.
. KIJOO, Murakami Kijo 村上鬼城 . January 10, 1868 - October 30, 1903) Autor and haiku poet. He was the center of the Tochimandoo Haiku Group. One of the 10 important haiku disciples of Basho. 1656-1715. One of the 10 important haiku disciples of Basho.
. MONGAKU, Priest Mongaku 文覚（もんがく) . April 14,1897 - September 1,1923 . Haiku Poet. (25 December 1849 - 13 September 1912) Kiten, Count Nogi. General in the Imperial Japanese Army, and a prominent figure in the Russo-Japanese War. Scholar of "Japanese Studies", Kokugaku during the Edo period. (1660-1738) Died August 2, 1738. Haiku Poet. Very rich merchant in Kyoto. In the 1590s Hideyoshi granted him a license for overseas trade with what is now Vietnam. This endeavor brought in huge profits for Suminokura and his son Soan - until the Tokugawas closed the country in 1635. 23 January 1827/28 — 24 September 1877). Satsuma Samurai of the late Edo Period. (1867-1902, September 19) Haiku Poet. Dassai Ki 獺祭忌（だっさいき）"otter festival day"
August 15. 1642-1716. Haiku poet. Friend of Matsuo Basho. September 10. 1907 - 1946. Haiku Poet. August 8. (1882 - 1946) Haiku Poet. October 4. 1893 - 1976. Haiku Poet. One of the four "S" of the Hototogisu Haiku Group. Kigo for the Rains, Varsha, in India. February 2, 1536, or March 26, 1537 – September 18, 1598). Hashiba Hideyoshi. Sengoku period daimyo who helped unify Japan. Priest of the Tendai Sect in the Heian Period. c. 1363 – c. 1443. Aesthetician, actor and playwright.